Dear Neighbor, Tomorrow is World AIDS Day, an annual day of remembrance and awareness that provides an opportunity for people worldwide to unite in the fight against HIV/AIDS, show their support for people living with HIV/AIDS, and to remember those who have died. Our community is fortunate to be home to several organizations that do incredible work to support those affected by HIV/AIDS, including TPAN and Vital Bridges food pantry. 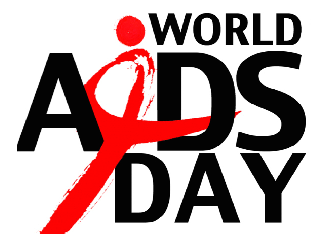 I encourage you to support their work not only on World AIDS Day, but throughout the year. TPAN is hosting mobile test sites around the city tomorrow, including one in our ward at Colectivo Coffee, 5425 N. Clark St. Click here for more information. 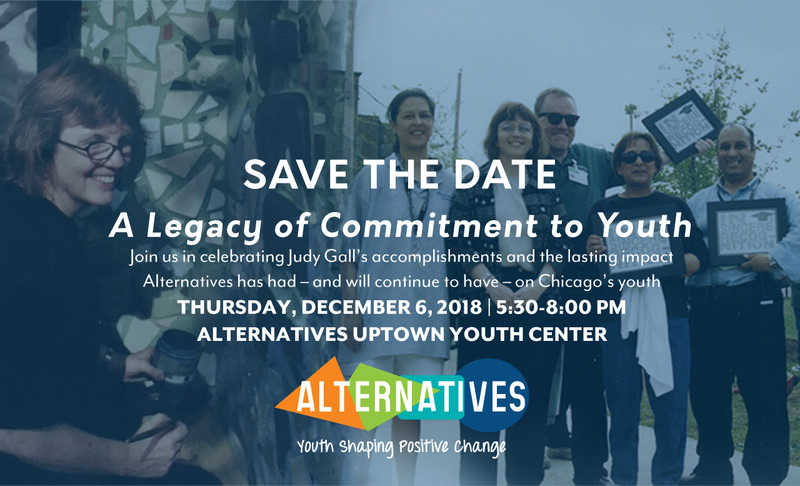 These organizations work closely with AIDS Foundation of Chicago to support our neighbors across the city, click here to learn how you can get involved in their important work. to work to ensure the safety of our students and to implement better systems at Chicago Public Schools to prevent these instances from occurring in the future. We will have a follow-up hearing in March to check in on progress of policy and procedure reforms at CPS. The hotline for the CPS Office of Student Protections and Title IX is (773) 535-4400. Please join me in congratulating Larry Swoboda and his team at Double Bubble, 6036 N. Broadway, on their 41st anniversary serving the Edgewater community. The Double Bubble is a place for neighbors to gather, and contributes to many charitable causes throughout our community. Stop by tomorrow night to support the Northside Catholic Academy (6216 N. Glenwood) Queen of Hearts fundraiser, click here for more information. 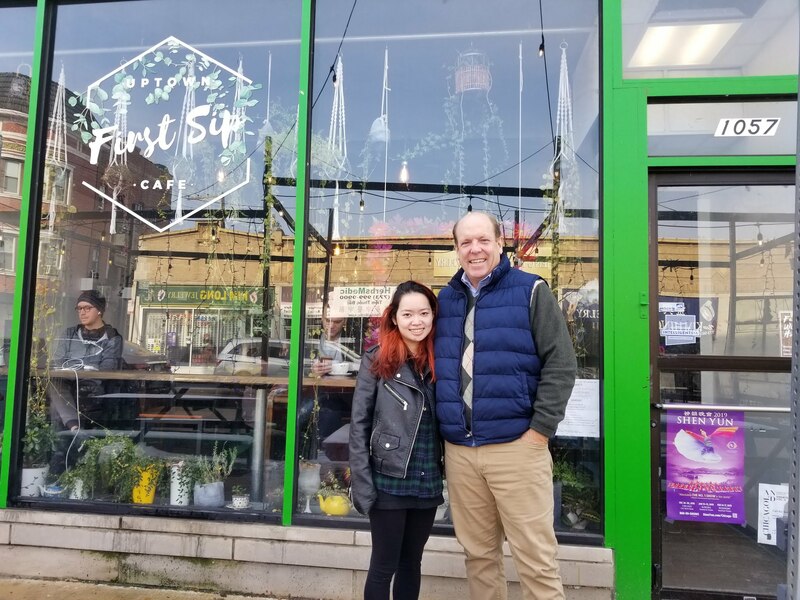 Tomorrow First Sip Cafe, 1057 W. Argyle, celebrates their first anniversary.Sisters Erin and Gigi Hoang are second-generation businesses owners on Argyle, daughters of the owners of Cafe Hoang, 1020 W. Argyle. First Sip has been a dynamic and energizing addition to Argyle St., offering coffee, tea, and artistic events. Help them celebrate tomorrow night at their First Anniversary party, click here for more information. Congratulations are also in order for two members of the Edgewater community who are champions! 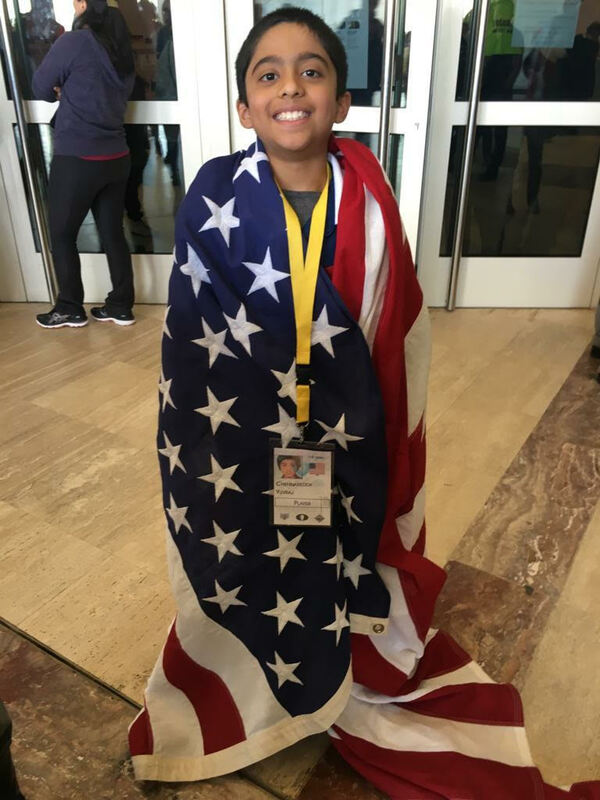 Edgewater resident eight-year-old Yuvraj Rudra Chennareddy, recently won the 2018 U8 World Cadet Chess Championship in Spain. He was the official representative of the US chess team, and made it through the tournament undefeated. Click here to learn more about Yuvraj’s victory. Edge of Sweetness cake decorator Adam Gueldner earned national recognition when his team won the challenge on Food Network’s “Holiday Wars”. Congratulations to Adam, click here to learn more about his TV appearance. There are an abundance of holiday events in and around the Ward this weekend, including concerts, parades, vendor markets, and more. 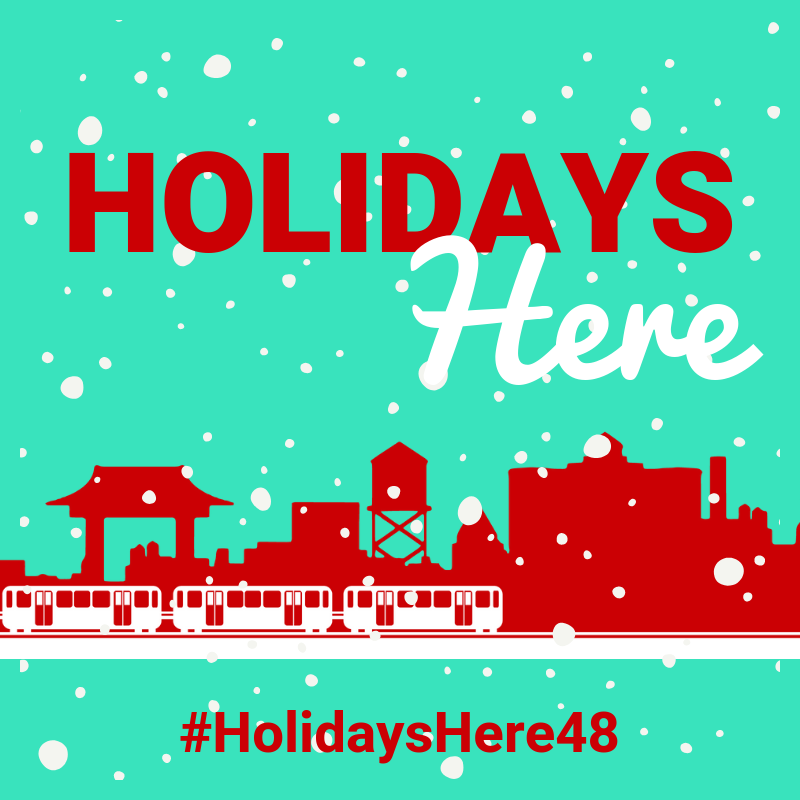 See below for details, and share your experiences using #HolidaysHere48! And if your family is planning for a Friday pizza night, order from Veranda on Thorndale and 10% of your purchase will benefit Friends of Swift. Have a great weekend and Happy Hannukah. Earlier this week, my staff attended court for the carjacking that occurred in October on the 5800 block of Winthrop. The four individuals are still facing felony charges and are currently being held. Our staff, along with representatives from a local business and the Andersonville Chamber of Commerce, attended a court hearing for the individual who was arrested for battery and disorderly conduct earlier this fall. He is held on bond and has a pending court date on December 19, 9am, in the Branch 29 Court, 2452 W. Belmont. The 20th Police District released a community alert on armed robberies that have occurred recently in our business community. Please click here to read the alert. This comes at a time where there have been multiple burglaries in Andersonville. In these burglaries, a male offender entered the basement and stole valuable possessions. Please pay special attention to any suspicious people loitering in the area, and if you have any information on either of these two incidents contact the Area North Detectives at (312) 744-8264. Police are actively investigating these crimes and we will have a further updates in the near future. We are in contact with the State’s Attorney’s office about all of these cases and will need the support of court advocates. If you are interested in court advocacy for these or any other cases, please contact Alan Oviedo at alan@48thward.org. Alderman Osterman has partnered with State Senator Heather Steans and State Representative Kelly Cassidy to collect hats, gloves, and coats to help support the local non-profits including Care for Real. 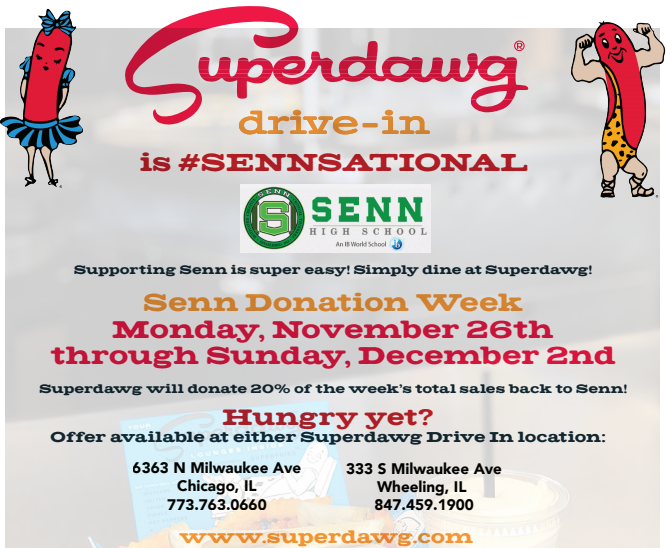 Please stop by 5533 N Broadway to drop off new or gently used donations in support of local Edgewater and Rogers Park adults and children. Come to drop off items until December 14. 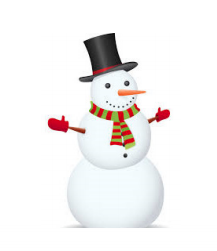 After the Children’s Holiday Decoration Making, come to help decorate Buttercup Park from 11 am to noon. Saturday, Dec. 1, 10am – 4pm & Sunday, Dec. 2, 9am – 2:30pmThis annual event features handmade, fair-trade arts and crafts, plus a fabulous used book sale, Christmas greenery for sale, a White Elephant table, complimentary gift wrapping, a Split the Pot Raffle, and pictures with Santa. A pancake & sausage breakfast with musical talent from St. Gertrude’s will be held on Sunday from 8:30am – 1pm. 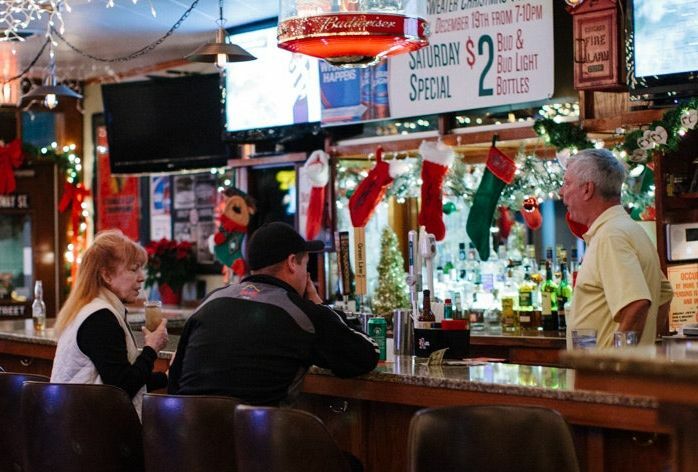 Celebrate the end of 2018 surrounded by your community friends, small businesses and neighbors with great bites and booze to wrap up the year with a bang. The Edgewater Chamber of Commerce depends on generous donations from its community to raise funds towards yearly events like programming workshops, small business growth panels, entrepreneur-centric networking gatherings and school fundraisers like the Edgewater 5k Run. The Andersonville Chamber of Commerce hosts the annual gift/toy drive to benefit over 1,000 kids and teens in partnership with Care for Real. Toys can be dropped at several locations throughout the district from November 30 through December 14. 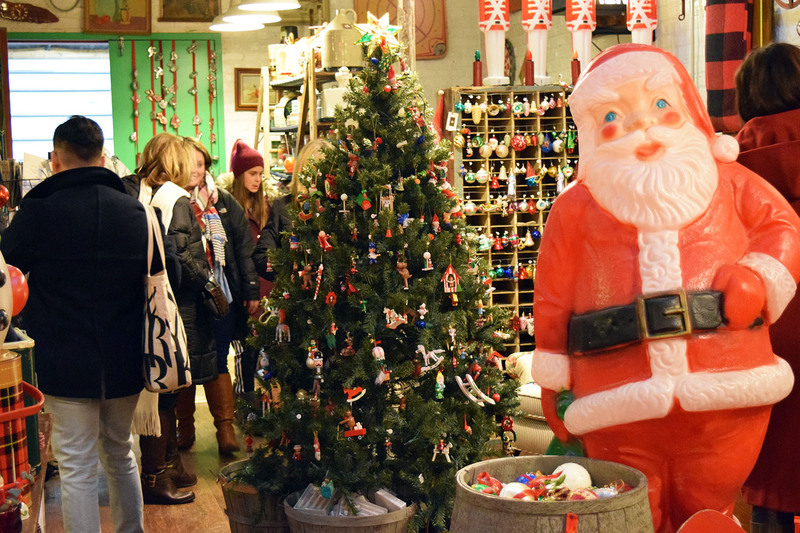 Participating Andersonville stores stay open late and offer special refreshments and deals for shoppers. Enjoy restaurant specials, carolers, pictures with Santa, musicians, and more through the district. 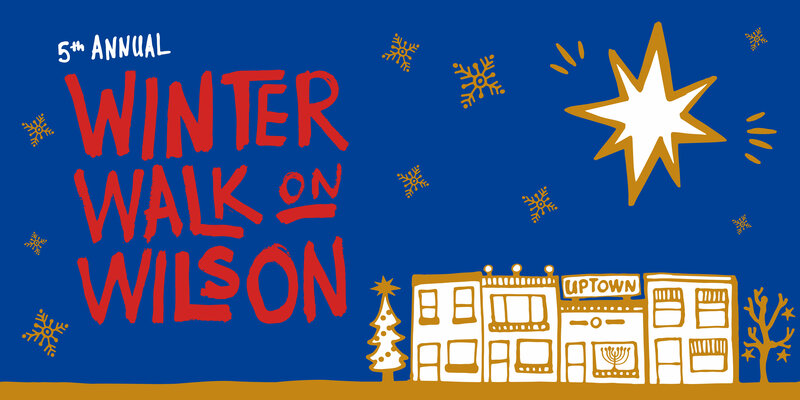 The FREE Holiday Trolley runs along Clark Street from 6:00 – 9:00 p.m.
Business Partners – The Chamber for Uptown is hosting their 5th Annual Winter Walk on Wilson. 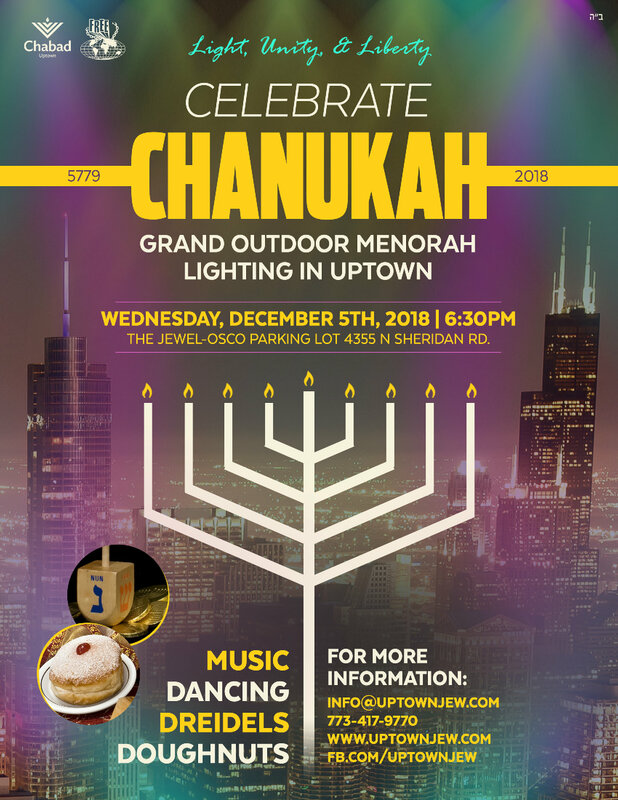 This free event features sweet treats, warm drinks, and menu samples offered by local Uptown businesses and organizations as well as live holiday music along the Wilson commercial corridor from Clark to Sheridan. 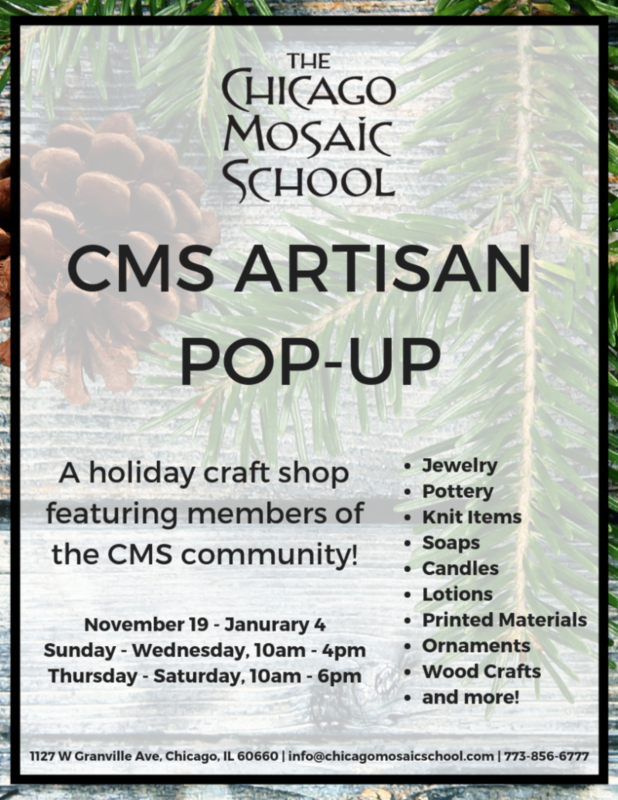 We’re pleased to announce this year’s event will also feature the Chicago Market’s Holiday Pop-Up Market at their new home inside the historic Gerber Building. 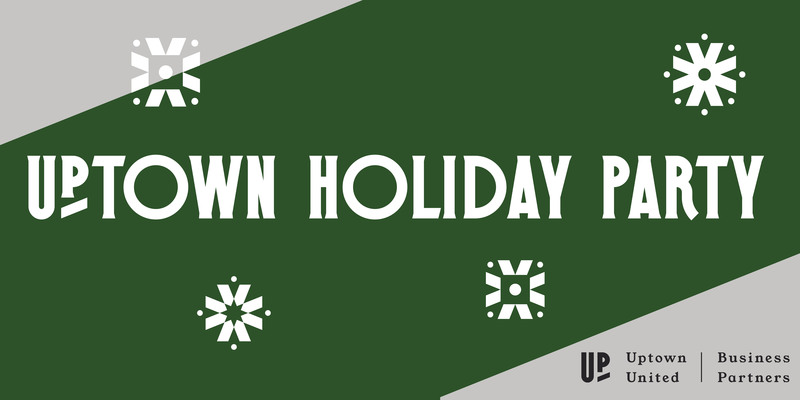 Join Bridgeview Bank, Uptown United, and Business Partners, The Chamber for Uptown in celebrating the holiday season, as well as our organizations’ many accomplishments this year. Enjoy complimentary light food, libations, and great company! Uptown has a proud history of helping those in need. We hope you’ll join us this year in bringing a donation to assist Sarah’s Circle, a worthy organization serving the Uptown neighborhood. The most needed items are winter clothing including winter coats, scarves, hats, gloves, winter boots and/or waterproof shoes, and sweaters and/or sweatshirts. For more information click on the link above. Sip our 21st amendment brewery giggle water (aka cocktails) while swinging with your bearcat to the sounds of Electro-Swing DJ Vourteque. Don’t be a wet blanket See ya at the Cat it’s the place to be Wednesday, December 5th, 8pm-late. Throw on your ugliest sweater, have a chance to win a leg lamp. Ugliest sweater wins the lamp! Share a mug of glogg with old friends and meet some new. Just put one foot in front of the other and head on over to Fat Cat on Tuesday, December 11th 8PM. The winter concert selections will include ancient chant, international carols and familiar sing-a-long favorites from the Edgewater Singers. Selections from J.S. 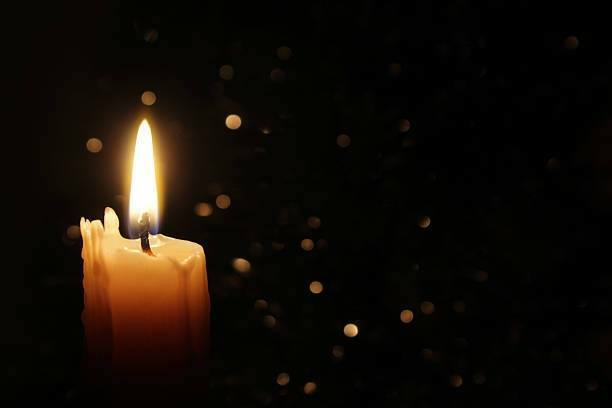 Bach’s Christmas Oratorio, will be followed by echoes of the traditional texts in modern settings including an original composition by Philip Seward. Hannukah dreams will resound in Ya Ba Bom and in the powerful text of Ma’oz Tsur, retold in Philip Seward’s, Rock of Ages, echoing a prayer for peace. This grant program is designed to help income-eligible Chicago homeowners for service to repair or replace their heating systems. Limited grants are available. Citizens who own a one-to-four unit residential property within the city limits may qualify. The property must be in habitable condition and not at risk of foreclosure. Commercial and mixed-use properties do not qualify. Please do not forget to enroll into healthcare during Open Enrollment, which is happening now through December 15th. The plans offered on healthcare.gov include access to mental health services, maternity care, a free annual preventive visit and coverage for pre-existing conditions. Discounts are available for many working and middle-class individuals and families. It is important Chicagoans get health insurance with full coverage. Heartland Health Centers is collecting new toys for their newborn to 10-year-old patients at their Health Center located at 845 W Wilson Ave. They will be collection toys at this location as well as other drop off locations through December 19th. 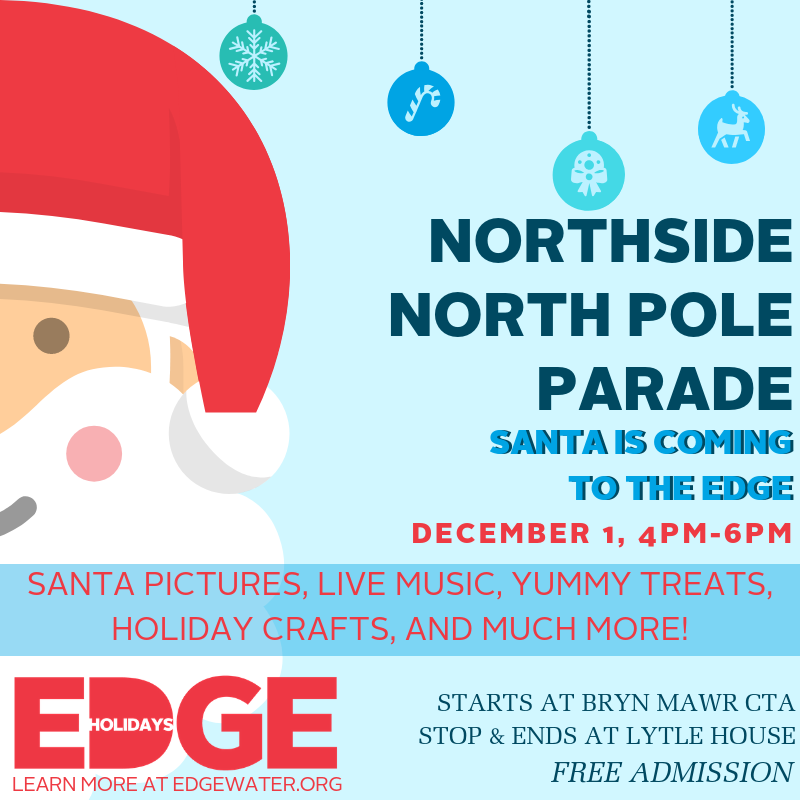 Heritage Outpost: 1325 W Wilson Ave | 1020 W Lawrence Ave.
Larry’s at the Lawrence House: 1020 W Lawrence Ave.
Drop off your kids (Pre-K through 6th grade) with our babysitting team and enjoy a nice Edgewater evening. Adult chaperones will be onsite and 7th and 8th grade students will serve as activity leaders. Your kids will enjoy Movies, Art Projects, Basketball & More. Send them in their PJs! $3 more for pizza dinner! This works out perfectly with the timing for the Winter Walk on Wilson. 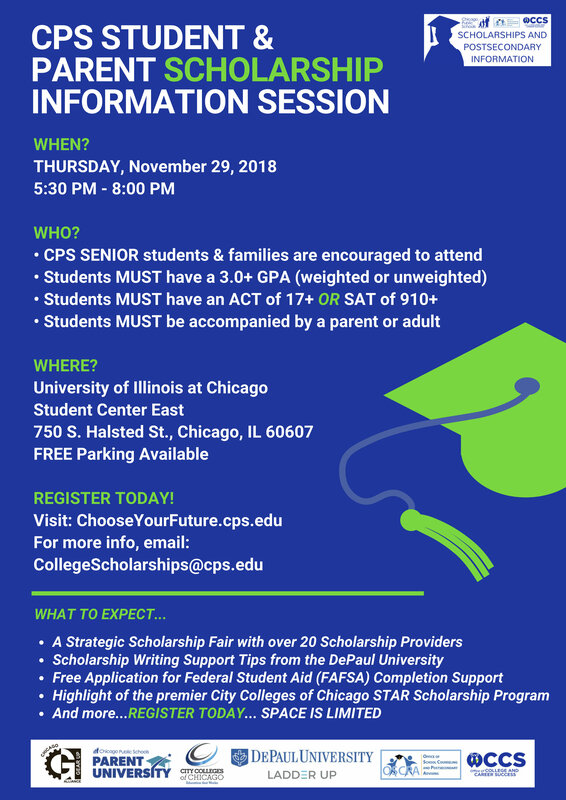 We are promoting our annual scholarship information session that is similar to a college fair, but for our CPS Scholarship Providers. 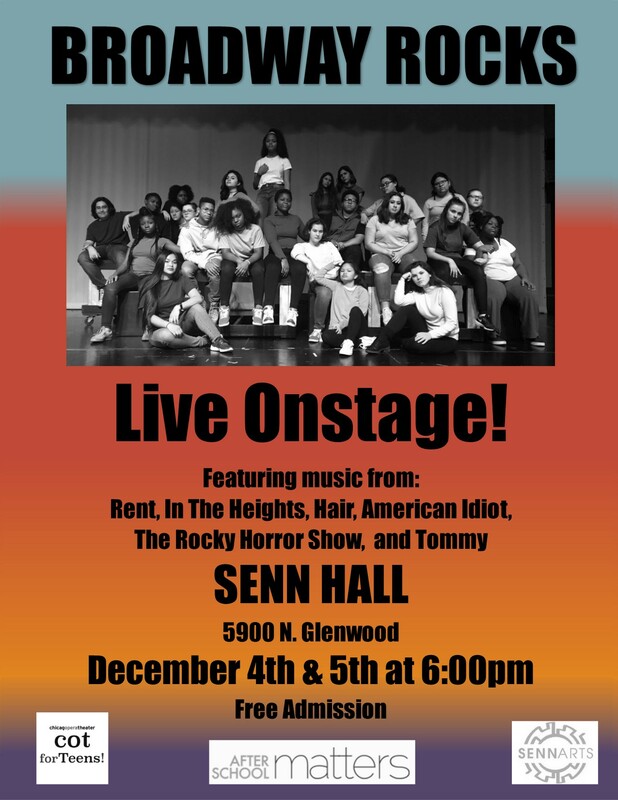 Above is the flyer, registration link that we are using to promote the event. Admissions Coffees offer prospective parents the best overview of Sacred Heart, including student-led tours, visits to classes and a question-and-answer session about the academic program and the admissions process. Please click here to register for an Admissions Coffee online. The purpose of this council began with our desire to make a difference in the way youth engage, learn, and participate in the community they call home. The council plans community events that will others in the community will enjoy. They get the opportunity to meet with other leaders in our community. The next meeting is Thursday, December 13th starting at 4 pm in the Third Space, 4956 N Sheridan. Recommended for ages 12 to 17. If you want to learn more or have any questions contact PC at pc@48thward.org. Senior Update Does climate change affect healthy aging? Hear from Loyola University students about the current research on climate change and how it affects the health of older adults. 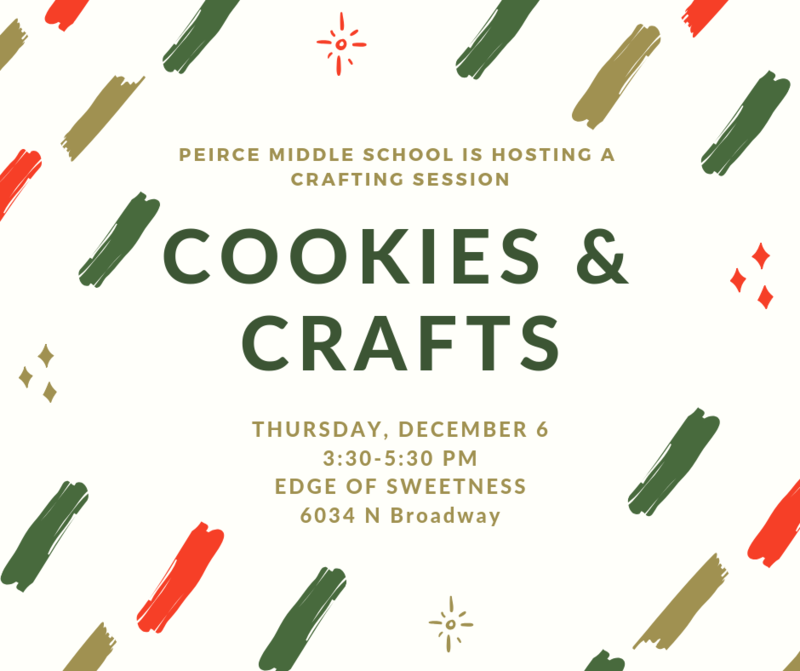 The presentation is co-sponsored by Edgewater Village. Join us for a presentation by Lydia Craig, Ph.D. candidate in Victorian Studies at Loyola University Chicago and co-founder of the university’s Victorian Society. She will uncover the secret past of Charles Dickens, the most popular novelist in Victorian England and his rise to international fame. 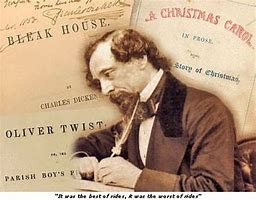 His experiences with poverty motivated Dickens to reveal and end the plight of the suffering British poor, but also relentlessly drove him to make money and rise into a higher social class. Click here for the December schedule of events. 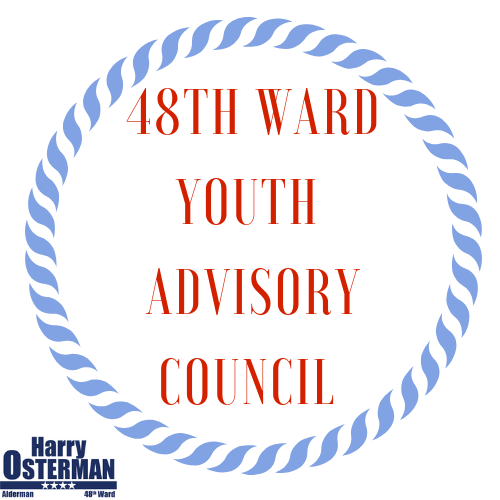 Any questions please email harry@48thward.org or call our office at 773-784-5277. Demolition is in progress with excavation to follow. Underground utility work at the site has begun. This includes bringing the utilities to the site from the street. Next week will continue with the underground utility work in the alley between project site and Loyola’s building. Will continue to pour concrete for 2nd floor. Berwyn: Duct bank installation continues in the east alley south of Berwyn and is approximately 59% complete. Berwyn: Underground cable installation to the Berwyn manhole, west of the tracks is ongoing. 48-Hour CAN (Construction Activity Notice) was distributed on 11/21/18. Crews began excavating for duct bank installation south of Catalpa in the east alley. Hollywood: In the east alley south of Hollywood, conduit installation is approximately 100% complete. Hollywood: 4 of 4 manholes have been installed in the east alley south of Hollywood. Ardmore: In the east alley south of Ardmore, conduit installation is approximately 100% complete. Ardmore: 2 of 2 manholes have been installed in the east alley south of Ardmore. Ardmore: Underground cable installation to the manhole on Ardmore is ongoing. Demolition of the building at 1111 W. Bryn Mawr is approximately 95% complete. Work will not impact CTA rail service and will therefore occur during daytime hours. More detailed and localized Construction Activity Notices will be provided as work progresses. Argyle Street and the alleys adjacent to the CTA tracks north of Ainslie Street to Argyle Street. Balmoral Avenue and the alleys adjacent to the CTA tracks from north of Berwyn Avenue to Balmoral Avenue. In recognition of Polish American Heritage Month, Edgewater Branch is hosting an exhibit featuring artist Renata Maliszewski. Her work will be on display in the exhibit case until Dec 1. Join Mary Wisniewski, author of Algren: A Life as she discusses the author and his work, life, personality and habits. Her book, which is the first biography of American author Nelson Algren in more than 25 years, offers a new look at the author of The Man with the Golden Arm, A Walk on the Wild Side and dozens of other works. Algren: A Life was named Chicago Writers Association Nonfiction Book of the Year and will be available for purchase. Wisniewski is a well-known Chicago journalist and frequently appears on local television and radio. Get $10 off regular tickets with the box-office code “HELLO NEIGHBOR” for members of our Edgewater community!